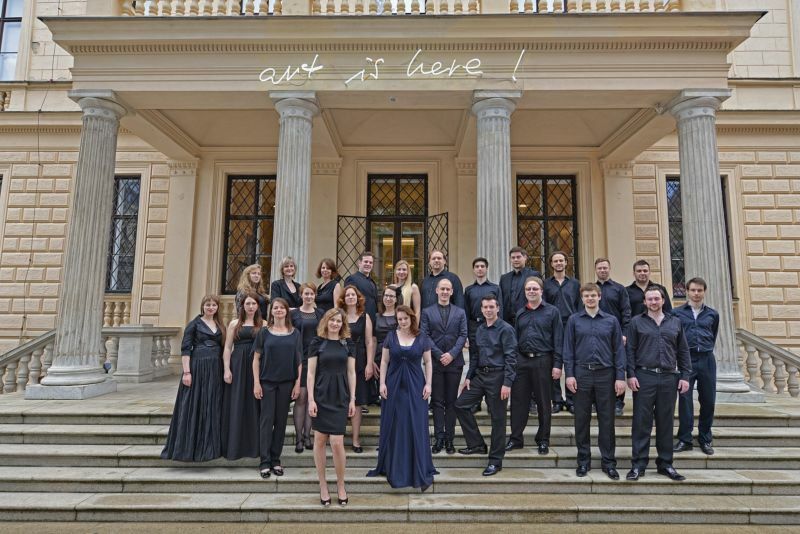 The Czech Ensemble Baroque Choir is a body of new type; its members are professional vocalists and graduates of early music period performance courses home and abroad. Solo approbation of the majority of the singers enables both implementation works in the style of ripieno and major cantatas and oratorios. The number of singers may vary (according to the type of cantata) from eight to forty or more singers. The core repertoire of the choir is made of cantatas and oratorios of 17th and 18th centuries (Handel, Bach, Vivaldi, Lully, Purcell, Haydn, Mozart). The choir ´s dynamic expression, gained mainly due to its work on Baroque repertoire, can be efficiently exploited as well in works of 20th century. Litomyšl Festival e.g. hosted the ensemble´s launching of Carl Orff´s Carmina Catulli and Stravinsky´s Wedding – stage performances in cooperation with the Hradišťan dancing ensemble, Karel Košárek and the Dama Dama drum group. For several seasons the choir has also been performing in opera performances (Acis and Galatea, Don Giovanni, Dorilla in Tempe, Ill Mondo della Luna, King Arthur). 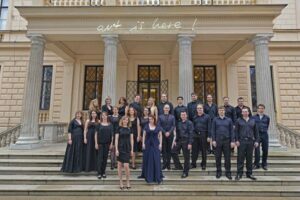 Besides working together with the orchestra and instrumentalists, the ensemble repertoire includes also purely vocal a capella programmes or pieces with basso continuo accompaniment (Purcell, Byrd, Bach, Palestrina). The choir is usually highly valued for its convincing musical expression, musicality, style and concept-specific performance of each singer. The leading chorus master is Tereza Válková.